The Monte Carlo Resort and Casino has finally completed its transition into the new Park MGM. 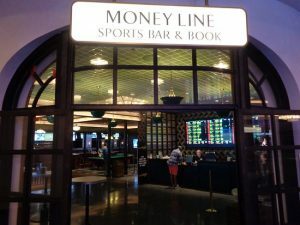 The property, located at South Las Vegas Boulevard, had borne its previous name for more than two decades (It opened in 1996). The rebranding was made official on Wednesday after the name change on the main building was complete. The rebranding of the Monte Carlo came courtesy of a partnership between MGM Resorts International and Sydell Group. The decision to rebrand was announced as MGM was in the process of renovating other properties around the neighborhood. The rebranding has brought a lot of changes to the complex. These include the changing of most signs that bore the previous name, the building, the casino chips, stationary, and other materials that had the name on them. The new Park MGM will also include a hotel within the hotel. Called NoMad, it will be on the hotel’s top four floors. The NoMad will have its own reception area, swimming pool, restaurant, casino and arrival, which are completely different from those of the Park MGM. It will, however, be a bit longer before people can start enjoying these facilities. This is because the more than 300 rooms, which will be under the name NoMad Las Vegas, are still being remodeled and will reportedly be completed in the fall. Sydell Group will be collaborating with the famous French designer Jacques Garcia, who was in charge of designing the original NoMad Hotel in New York. Andrew Zobler, the founder and CEO of the group, said it was a special moment to see the company’s idea come to life. He added that the company was successful at rethinking every aspect of the guest experience while providing a personal feel on a grand scale. With the remodeling of the surrounding properties, namely The Park, T-Mobile Arena, and the Toshiba Plaza already complete, the remodeling of the Monte Carlo will create uniformity and “tie together the entire neighborhood,” according to Jim Murren, MGM Resorts International CEO. He has also thanked Zobler for sharing in the company’s vision of creating a destination that not only embraces its environment but resonates with the new generation of travelers as well. 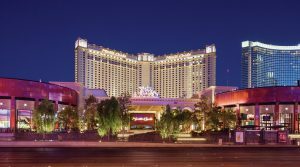 The MGM Resorts International has reportedly spent $550 million on the rebranding efforts of the 32-story, 3,000-room hotel complex. The first casualty of the makeover was the Lance Burton Theater, which was named for the magician, who retired in 2010. This was later upgraded into Park Theater, a 5,200-seat, 150,000-square-foot establishment. The notable upgrades the Park MGM will include the launch of the Primrose Restaurant and Bavette’s Steakhouse and Bar, the Juniper Cocktail lounge, the Moneyline Sports Bar and Book, a convention center, a new lobby and casino floor, several other bar areas, and swimming pools that have lounge areas. Of course, there are also the newly renovated rooms and suites. The changes do not stop there. In the coming months, there will be a new diner by Roy Choi — the opening date is still in the pipeline — and an Italian marketplace, Eataly, that will be offering casual sit-down dining with a coffee bar, wine bar, gelato bar, and retail options available. Lady Gaga will also have a residency at the new Park Theater. 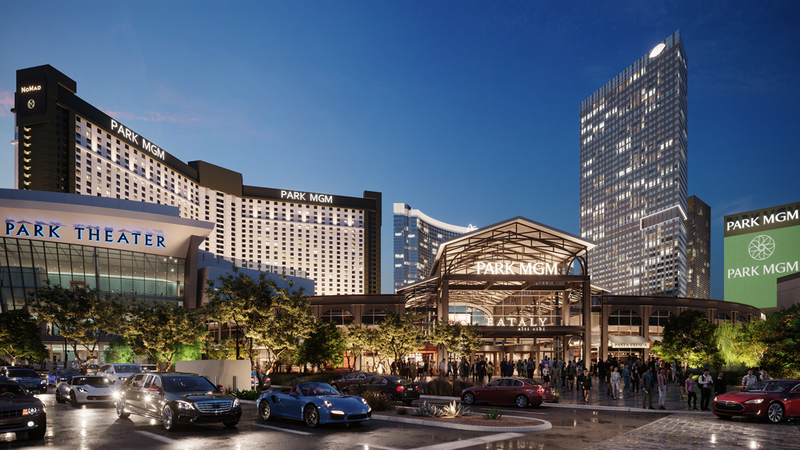 Patrick Miller, the president and chief operations officer of Park MGM, has said that the new Park MGM will provide something different for both visitors to Las Vegas and those who live there.